Discuss Intellivision, Atari, Colecovision, Nintendo, and More! » Member Introductions and Community Forums » Member Introductions » Scandinavians? Any Scandinavian Intellivision owners out there...? "More than 15.000 sold" it says in this old ad. Cool. I don't know how well the system did overall in Europe but good to see it did well at least in one country! Never knew either. Great advertisement! 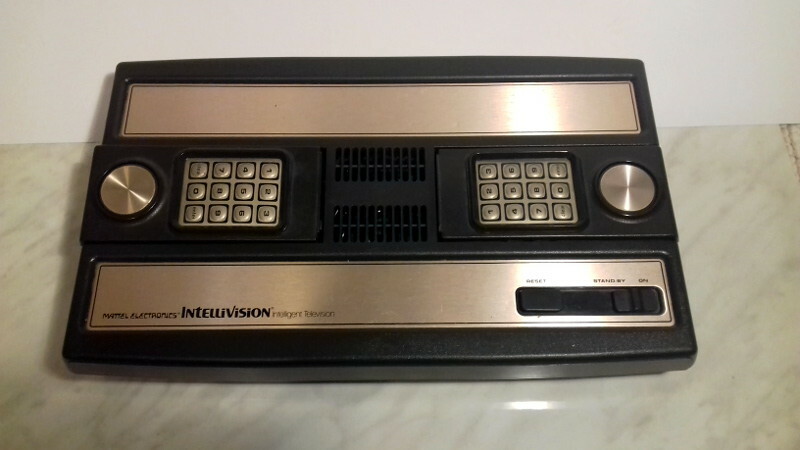 I'm 42 years old man and never had or played with Intellivision until few days ago when I purchased a used but working one. It doesn't have it's original box or instruction manual but has all necessary cables to make it work. Downloaded an English manual from internet. It even has the TV-Game switchbox with it. I have 9 games for it and all of them work. Some needed a bit of plugging in & out few times to make them work, I guess the contacts could use some cleaning. Some of those games have Finnish instruction manual, others just English. Hockey game has both. The seller of this unit told this one is from 1981. At the time we had only a Conic TV-game, a Pong clone and later got those home computers, Salora Manager (known elsewhere as Vtech Laser 2001), Commodore 64c and Commodore Amiga 500. I still have the Salora and Amiga 500 but sold the C-64 in 1991. It was only in 1999 when I got my next actual videogame console, namely the original Sony Playstation which I still have and in 2009 got the PS3 Slim which I also still have. I have no idea how popular system Intellivision was here in Finland. At the time I didn't know anyone who had Intellivision. Some had Philips Videopac and later in the 80's Commodore 64 became the most popular system but of course it was real computer and not just a videogame console, even most people used it just for gaming. Hi and welcome aboard! I am a big fan of Knight Rider also. Glad you got into the Intellivision. There are some fun games among those you got there. cool! Finnish manuals! In case you are willing to sell them or to trade, send me a PM! Seriously, no kidding! All the games you have but Hockey and Chess are very nice. Pratar du bara finska eller svenska också? My native language is Finnish and secondly English. My Swedish is unfortunately almost non existing. Searched for the Finnish import company mentioned in the game instructions but it seems to be long gone by now. It was Sound Electronics Inc. in Helsinki, Finland.